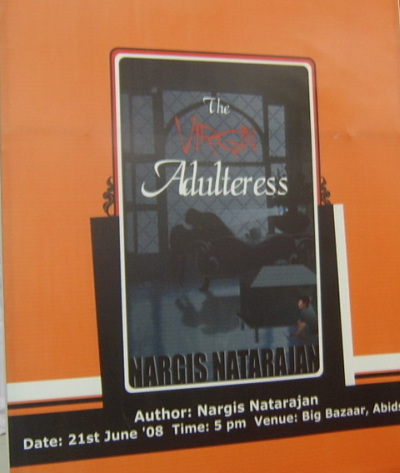 Laced with humour and irony, ‘The Virgin Adulteress’ is a poignant love story of a relationship in which love is challenged and yet endures. It examines the paradigm of how it is possible to remain aloof in a marriage and yet for the sum of that matrimony to be greater than its fractions. It also brings to the fore a cynical truth- that together with marriages, sometimes love can also be arranged. Haunted by the remnants of a past, it also portrays life in its various hues of losses: failures, misunderstandings, frustrations and disenchantments. Yet, amidst the dense clouds of disappointment, hope, the one distinct and eternal factor in life, always serves as the silver lining. The characters as such are hardly negative. In fact they are just mismatched people with whom destiny is bent upon playing the villain. Vacillating between Malaysia and India, amidst the scenic backdrops of Kualalumpur and Hyderabad, this story is held together by the distinct threads of an intense bond that surpasses religion and superficial fallacies. Divided into four parts, the first two parts deal with obligations and temptations, the two bitter truths of reality, which an ordinary mortal just cannot do without. The next part fuses out to a series of revelations, where strange facts, which sadly had been misconstrued, are finally revealed. The last part brings forth certain realizations that give in, if not to a fairy tale ending but at least to one that is underlined with expectation and hope.